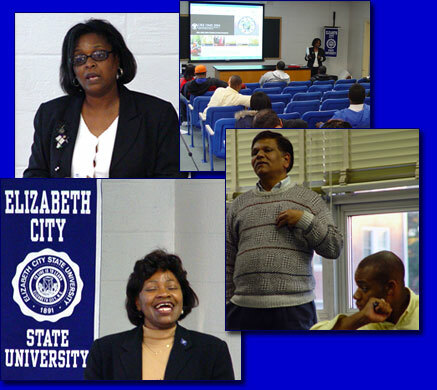 On November 9, 2004, the Office of Naval Research (ONR) Nurturing ECSU Research Talent Program (NERT) hosted an Internship Roundtable. This meeting brought together those individuals who had served internships in the past, those who were seeking internships, and those who know where to find them. Five students presented their experiences at various internships throughout the U.S. working for various government agencies and colleges. Other speakers presented the source for future internships and the reason for completing them. Dr. Krishna Kulkarni, ECSU Math & CS Dept.